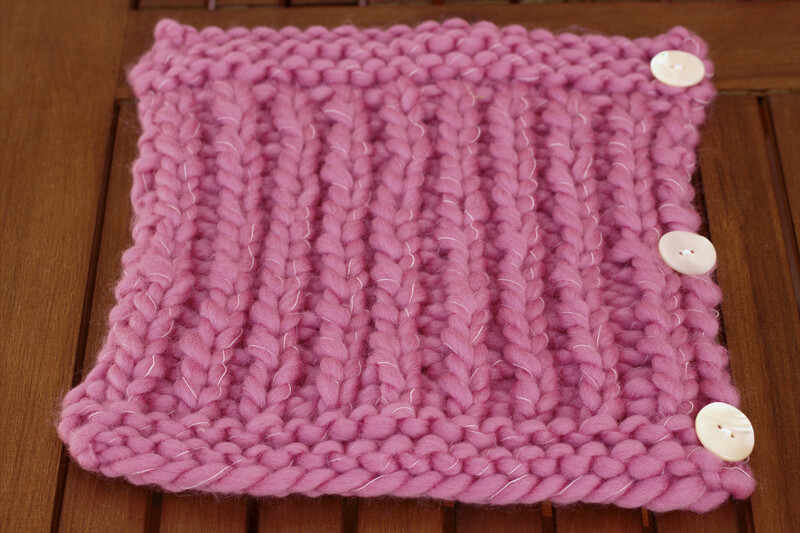 Gauge: 6 sts x 8 rows (10×10 cm) – garter st.
8 sts e before and after stitch markers on both sides will be the sleeves. K st with wrap together = put wrapped yarn on left needle, K stitch together with it. K19- K st with wrap together – K to the end, picking up wrap on last W/T stitch, just before marker. Cast Off with Stretchy Bind-Off. 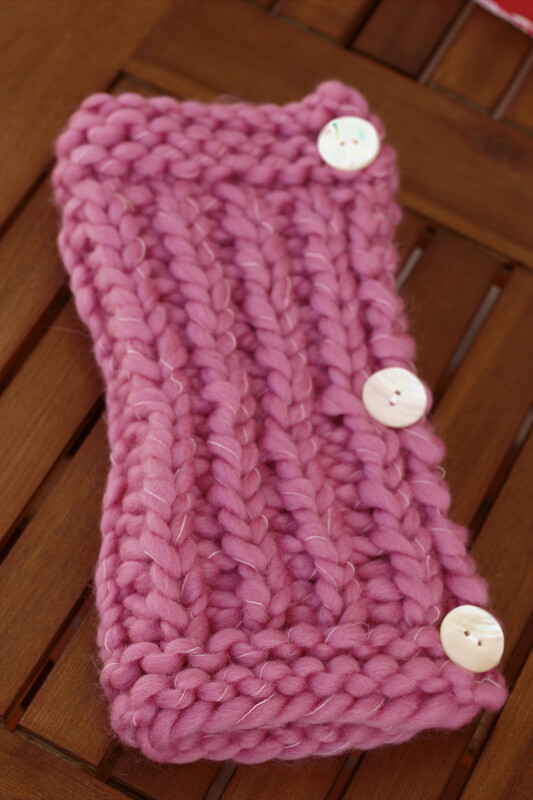 Sew 3 buttons on each leg warmer.